Happy hour on Sunday lasts from 5pm until midnight. Want a beer? That’s half price, tap beer starts from $2.50 a pot. Want a glass of wine? 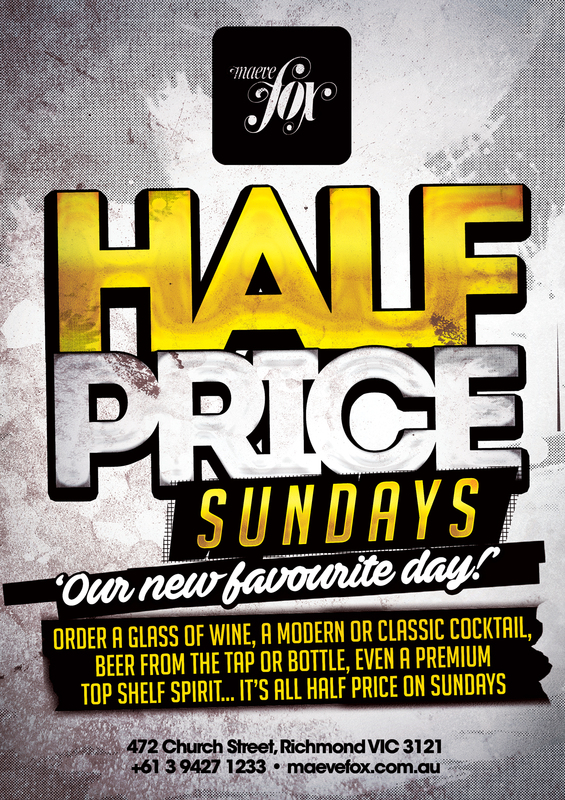 That’s half price, our wines on Sunday start from $4.25 a glass. Cocktails, spirits? Yep, they’re half price on Sunday as well! By far the best discount you’re going to get! Start your week right with our Sunday Happy Hour. *Please note that the discount does not apply to bottles of wine for responsible service of alcohol and to some rare or limited edition spirits because, well they are rare or limited edition.